The ICMG series that gave rise to IAMG has evolved both in name and style. The first meeting, in Seattle, USA, in 1994, was intended as a one-off one-day symposium, convened under the auspices of the Geological Society of America. However, its success led to a similar meeting in the UK, at the University of Warwick in 1996, under the auspices of the Geological Society of London. A half-day meeting in Toronto, Canada, in 1998, was back again under the auspices of the Geological Society of America. Each of these generated post-conference books, published by the respective geological societies (Underwood & Guth, 1998; Rose & Nathanail, 2000; Ehlen & Harmon, 2001). In 2000, in the UK, the scope broadened from geology to terrain, attracting contributions from geographers and historians as well as geologists, and expanding to a three-day ‘conference’, sponsored by the University of Greenwich in association with the Imperial War Museum and the Royal Engineers Museum. The conferences adopted the title ‘international’ and expanded to four days in 2003, when the next was hosted again in the USA, at the US Military Academy, West Point, with an explicit geography and geology theme. Numbering was adopted with the similar 6th conference, convened at the University of Nottingham in the UK in 2005. The broader scope of these three conferences is reflected in the books they generated (Doyle & Bennett, 2002; Caldwell et al., 2004; Nathanail et al., 2008). The highly successful 7th conference was held at the Université Laval in Quebec, Canada, in 2007, but sadly the initial intention to publish a post-conference book was later abandoned. With meetings thus alternating every couple of years between North America and Europe, in 2009 it was Europe’s turn – and ‘geology and geography’ became embraced in ‘geosciences’ at the prestigious 8th conference, in Vienna (Häusler & Mang, 2011). The name was maintained when the series returned in 2011 to the USA for the 9th conference, based at the Desert Research Institute in Las Vegas (McDonald et al., in press), and when back again in Europe in 2013 for the 10th conference – based at Aviemore in Scotland although convened from Nottingham Trent University in England (plans for a post-conference book are currently in abeyance). Return to the USA in 2015 for the 11th conference, at the US Naval Academy in Annapolis, followed the established pattern – but plans to hold the 12th conference, in 2017, in South Africa represent an innovation. 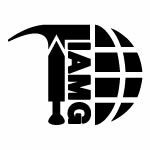 This and the foundation and growth of IAMG indicate that interest in military geosciences, past and present, is growing rather than declining: a very encouraging situation for the enthusiasts involved. Caldwell, D.R., Ehlen, J. & Harmon, R.S. (eds) 2004. Studies in military geography and geology. Kluwer Academic Publishers, Dordrecht. Doyle, P. & Bennett, M.R. (eds) 2002. Fields of battle: terrain in military history. Kluwer Academic Publishers, Dordrecht. Ehlen, J. & Harmon, R.S. (eds) 2001. The environmental legacy of military operations. Reviews in Engineering Geology XIV. Geological Society of America, Boulder, CO.
Häusler, H. & Mang, R. (eds) 2011. International handbook: military geography. Vol.2. Proceedings of the 8th International Conference on Military Geosciences, Vienna, Austria, June 15-19, 2009. Ministry of Defence, Vienna. McDonald, E.V. et al. (eds) in press. Military Geosciences and Desert Warfare – past lessons and modern challenges. Springer International Publishing, USA. Nathanail, C.P., Abrahart, R.J. & Bradshaw, R.P. (eds) 2008. Military geography and geology: history and technology. Land Quality Press, Nottingham. Rose, E.P.F. & Nathanail, C.P. (eds) 2000. Geology and warfare: examples of the influence of terrain and geologists on military operations. Geological Society, London. Underwood, J.R., Jr. & Guth, P.L. (eds) 1998. Military geology in war and peace. Reviews in Engineering Geology XIII. Geological Society of America, Boulder, CO.